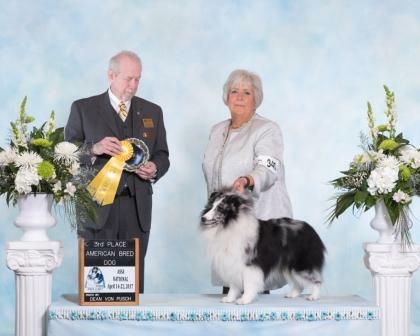 Thank you Joann Carruba for this lovely photo of the New Champion Cooper! Thank you Judge David Calderwood for this honor! 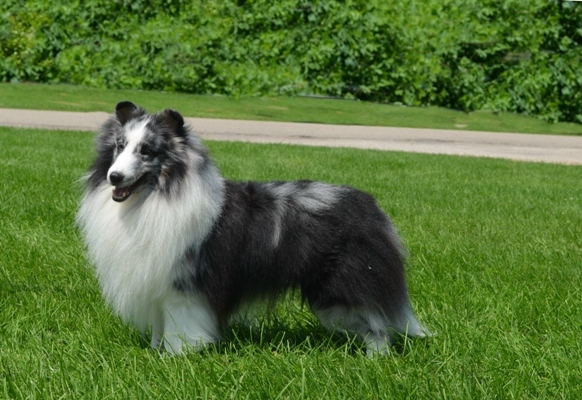 Cooper was bred by Chris and Jim Schmidt and is co-owned with Chris. He has been completely owner handled through all his titles. 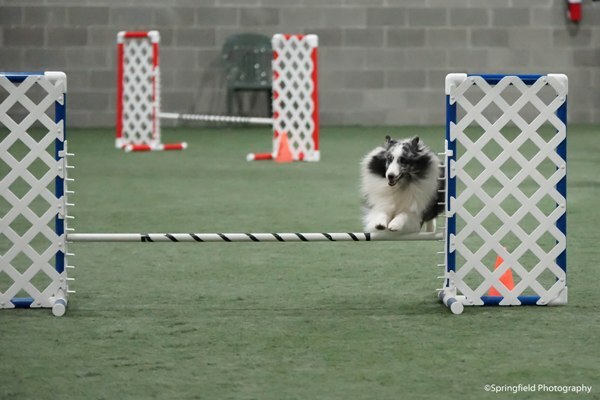 Cooper finished his Ch in August and in less than a month, finished his GCH. He is a very moderate, correct boy. Judges have commented on how “typey” he is and that he never puts a foot down incorrectly. Cooper has a wonderful temperament and is an absolute joy to live with and to train.